Does Call of Duty Camo Work in... Tokyo? Let's Find Out. You know in Call of Duty 4: Modern Warfare, when Lt. Price and Cpt. MacMillan wear those "ghillie suits"? The camo outfits look like they're wearing grass and foliage. Those come in handy while sneaking about the Russian wilderness. They're less handy when in urban jungle known as Tokyo. Or are they? 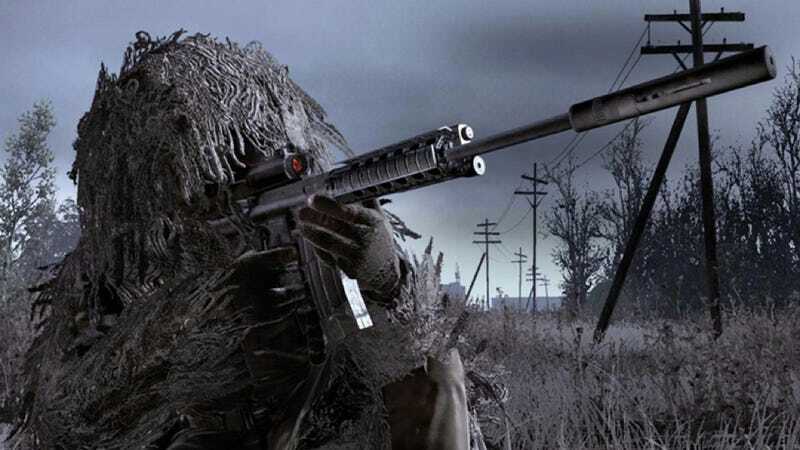 Japanese site Rocket News sent one of its reporters out on the street all ghillied up, staying low and moving slowly. Sure, when he's strolling down the street, the dude's pretty easy to find. But what about when he's hiding? Or getting Starbucks? Or taking an elevator? In the above gallery, see if you can see, well, him. Answers included in case you get stuck. Ha, like that'll happen.